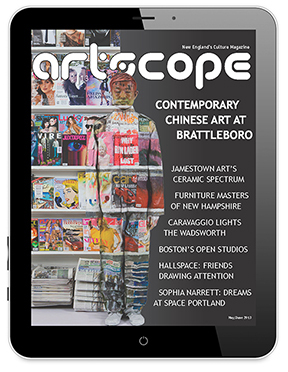 Out with the old and in with the new is trending this time of year, and the same goes for us here at Artscope. With 2015 almost in the rearview, we're looking ahead at some of the exhibitions to kick start the New Year. From what we can tell, 2016 will be packed with promises of enlightening photography, family ties and grotesque yet endearing combinations—at least that is what's in store in the featured exhibition reviews below. So as you're making resolutions and ringing in the New Year, be sure to add these spunky shows to your list. 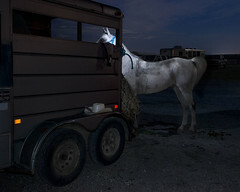 Arabian Horse and Trailer by Camilo Ramirez, archival inkjet print, 24" x 30", 2014. Two photographers will debut in Bromfield Gallery's SOLO 2016, a competition juried by Ruth Erikson, Assistant Curator at the ICA, Boston, that awards exhibitions to two New England artists who have not previously had a solo show in a commercial gallery. The fact that both winners use photography to explore their subjects is sheer serendipity. Andrea Greitzer examines the spaces that surround art in her series In the Museum. Her photographs focus on the margins created for people to move through. Looking at classical sculptures, where the viewer turns marble into flesh and form into body, according to Greitzer "we become part of the action, and our experiences become personal and intimate." Her photos capture this phenomenon and thrust it into closer examination. Greitzer received her undergraduate degree in graphic design from Northeastern University. She went on to earn her MFA in photography from Massachusetts College of Art and Design and has been teaching photography ever since. Greitzer has traveled extensively nationally and internationally teaching and making images. The other winner of the SOLO 2016 competition is Camilo Ramirez, whose series The Gulf explores the entire length of the U.S. Gulf Coast and the way history, economics and culture intertwine to reveal a simultaneous reverence and abuse of its natural resources. Ramirez's images reveal how generations of traditions, attitudes and livelihoods are wound tightly into the fabric of the place—and are often visible within the landscape. Ramirez holds a BFA in photography from Florida International University and an MFA in photography from the Massachusetts College of Art and Design. His work has been exhibited nationally and internationally and is currently on view at Danforth Museum, Gertrude Herbert Institute of Art, Fort Wayne Museum of Art and Peter Miller Fine Art. The winners of the SOLO 2016 competition will be on view Wednesday, January 6 through Sunday, January 31. A reception is set for Friday, January 8 from 6 - 8:30 p.m. as part of First Fridays at SOWA. 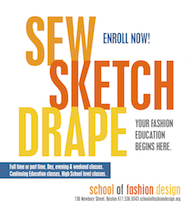 Enrolling now for Winter Intersession and Spring classes. Visit our web site for details. "I've been interested in expressing humanity in the form of reconstructed stuffed animals," says artist Jodi Colella. Inspired by her recent residency in Shenzhen, China, and by medieval bestiaries that assign symbolic virtues (and vices) to different species, Colella transforms children's toys to address themes of identity, loss, and consumer culture. 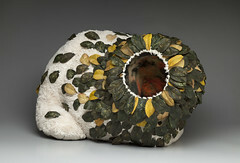 Shana Dumont Garr, author of Colella's upcoming catalog, likens the exhibit to "a cabinet of curiosities sprung to life." "Beastiary" is on display at the Chandler Gallery from January 14 -February 5. The opening reception will be held on January 21 from 6-8pm. A collection of creatures that tiptoe the line between realistic and mythical will be the main focus of an upcoming solo exhibition at Maud Morgan's Chandler Gallery. Inspired by her recent residency in Shenzhen, China and by medieval bestiaries that assign symbolic virtues and vices to different species, artist Jodi Colella transforms children's toys in order to address themes of identity, loss and consumer culture. Much of the artist's process is concerned with relationships. "Intrigued by biology and the mechanisms of emergent systems, I combine process, interaction and whimsy to realize community, fill the void between people and nourish the search for connection," Colella says. The featured pieces in this exhibition achieve their power from the contradictory characteristics of the artist's alterations. Some embellishments attract while others repel, creating a luring, hypnotizing combination. 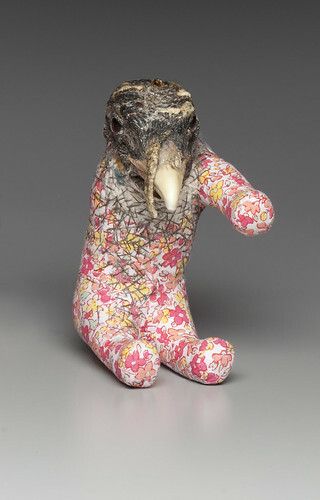 "Birdman," featured above, is covered in pajama-like fabric with a pink flower pattern, but the head and one leg have been replaced with the dried head of a real bird, adding to the juxtaposing moods of the piece. In another creation, a turtle's shell is adorned with shiny baubles, but wires explode from its mouth and its limbless underside bulges out of proportion. The viewer's experience at this exhibition may be similar to Colella's process as an artist. She says she is most inspired when exploring unfamiliar surroundings: "Feeling uncomfortable catalyzes learning [as it] teaches how to be attentive and really observe." Beastiary will be on view Monday, January 11 through Friday, February 5 at Chandler Gallery. The opening reception will be held on Thursday, January 21 from 6 - 8 p.m. 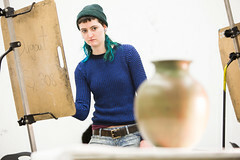 Artist Margot Rocklen in the studio. Though family ties may be the only things that tether the three featured artists in the upcoming exhibition at Gallery 175, the diversity of work from a son, his mother and his mother-in-law reveals three different visions and aesthetic sensibilities executed in various creative mediums. In this familial exhibit, Alexander Budnitz, a Boston-based graphic/web designer and photographer, creates prints of manipulated and enhanced photographs combined with graphic elements, digital effects and carefully considered compositions. His results convey a moodiness of nostalgia and intrigue. A series of paintings by Budnitz's mother, Toba Weintraub, a resident of Pawtucket herself, depicts views from her window that overlooks the Blackstone River. With simple shapes, appropriate textures and skillfully nuanced colors, Weintraub captures the cyclic nature of a year's seasons. 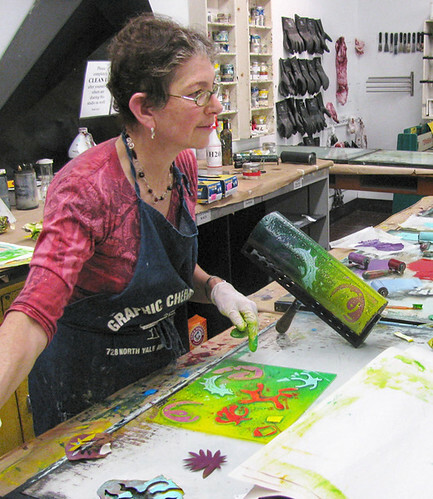 Budnitz's mother-in-law Margot Rocklen is a printmaker from Connecticut who works with a bold color palette and an array of patterns. "In my prints, the development and communication of a concept is important," Rocklen says. "A single idea usually unfolds in a series of related works. I often combine several techniques, each one having a significant effect on the image. Some techniques create soft edges, which are excellent for layering and subtlety, while others produce strong line and shape." In Rocklen's Piscine Series, fish swim through aquatics fueled by abstract shapes and swirling forms. The artwork of all three of these artists and their family connections will be on view at Gallery 175 in downtown Pawtucket Monday, January 4 through Saturday, February 27. A reception for the artists will take place on Sunday, January 10 from 2 - 4 p.m. 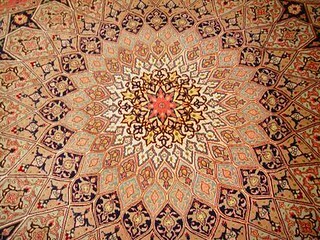 Warm up your home with a beautiful handmade rug! TOP: Andrea Greitzer: "Marble 1," inkjet print, 20" x 24", 2015. From Jan 6 - 31, Bromfield Gallery presents two solo photographic exhibitions: "In the Museum" by Andrea Greitzer and "The Gulf" by Camilo Ramirez, both juried by Ruth Erickson, Assistant Curator, ICA. The opening reception is Friday, Jan 8, from 6-830 pm.